Our escape rooms in Guelph are large immersive sets with puzzles around every corner and so many secrets some still have yet to be found. Prepare yourself for an escape room experience unlike any other as you sneak around the Wizard's Tower or traverse the dark and mysterious Dungeon. The Khronos Gauntlet is a deeply immersive and story driven series of lifelike escape rooms in Guelph located in the heart of downtown. Drawing on the mythos of a fictional time-travel agency, the KhronoSphere, teams of players are able to blast through time to experience different eras and locations including a medieval dungeon, a wizard’s tower, and a post-apocalyptic laboratory. More than simply puzzles and locked doors, our series of escape rooms draws you into stories with fully developed sets, props and fixtures, the likes of which to be found only in Hollywood films. Feel the damp, dank depths of The Dungeon, complete with stone walls, wooden stockades, and torture devices. Enter the ethereal world of The Wizards Tower, where wonders of nature and spellbinding elements await. Everything combines to make you feel like you’ve traveled to darker times and wondrous places where you will need to rely on your problem solving skills and your teamwork to succeed! 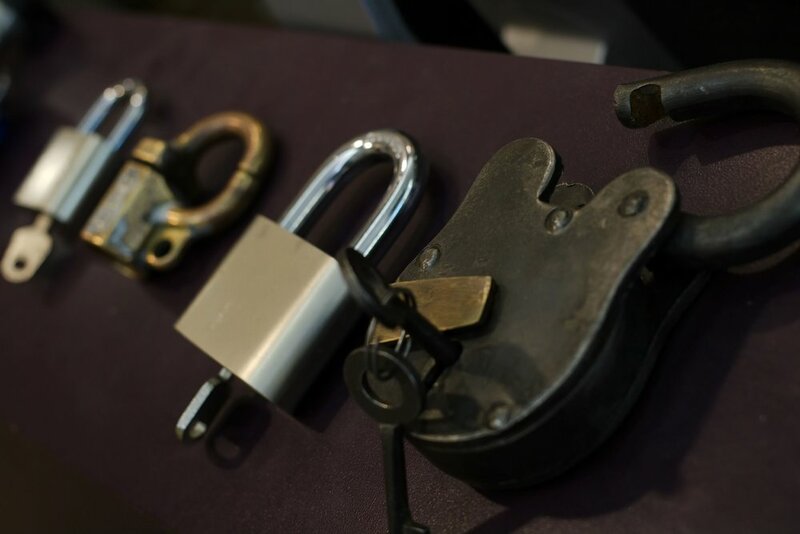 If you are new to escape rooms, these guidelines will help make your first experience a blast. We can cater to any group from corporate team building exercises, birthday and bachelor/bachelorette parties, special functions, student outings or just for a night out to try something different and new. Can Your Team Beat the Gauntlet? Our games are designed for team play, so invite friends and coworkers to join you in these adventures that will become the talk of the coffee room.